Ramiro Rodriguez grew up in Fennville, Michigan, graduated from Kendall College of Art and Design with a B.F.A., and received his M.F.A. degree in painting from the University of Cincinnati, Ohio. 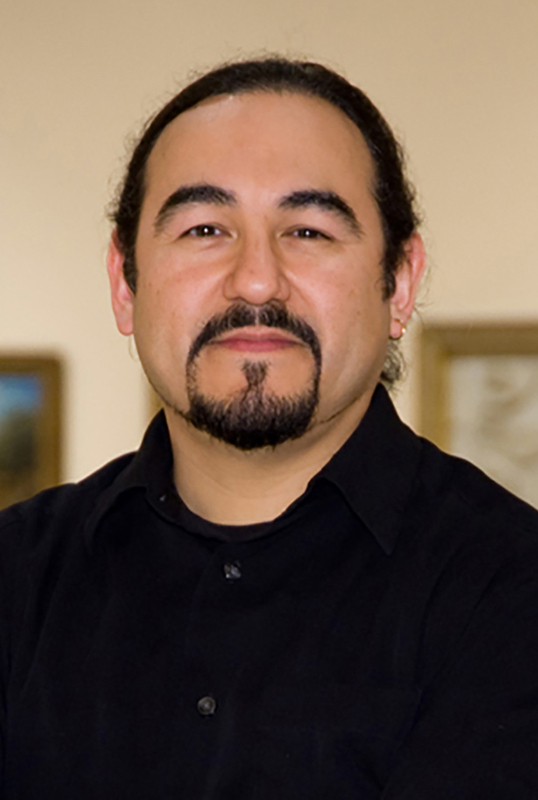 Additionally, Ramiro studied serigraph printing with Malaquias Montoya at the University of Notre Dame. Rodriguez currently lives in South Bend, Indiana with his wife and two sons. He is Exhibition Coordinator at the Snite Museum of Art at the University of Notre Dame. He is a member of the Consejo Grafico, an independent network of Latino print workshops formed to advance the legacy and viability of Latino printmaking in the United States. His figurative paintings and prints have been exhibited in various one-person and group shows around the country and internationally. Rodriguez’s works are included in numerous private collections around the world.